Grand Lake Metropolitan Recreation District is a year-round outdoor destination bordering majestic Rocky Mountain National Park. Featuring the Grand Lake Golf Course in the summer and a variety of boundless Nordic skiing terrain in the winter, the unparalleled location offers panoramic views, fresh mountain air and the guarantee of a memorable outdoor experience. Year-round recreation opportunities for children and adults offer a variety of fun adventures. And, don't miss the Sly Fox Restaurant - a perfect lunch stop or great place to end your day with a cocktail! 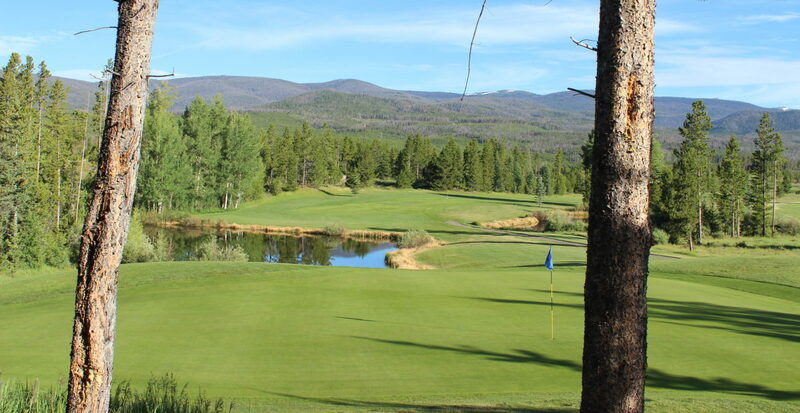 One of Colorado's original and premier 18-hole mountain courses that is beautifully maintained with rolling fairways and subtle greens. 35km of outstanding Nordic ski, snowshoe and dog-friendly terrain for all abilities, nestled in the quiet of the Rocky Mountains. Miles of scenic mountain biking, hiking & dog-friendly trails. Year-round adult pickleball summer tennis. We have something for everyone to enjoy! The ‘hidden gem’ of dining and drinks and in Grand Lake with panoramic views of the Never Summer Mountain Range. Great for special events! Book Your Golf Course Tee Time Now! Use our handy online system and see what times are available when - or - find out when the best rates can be found each week or each day!